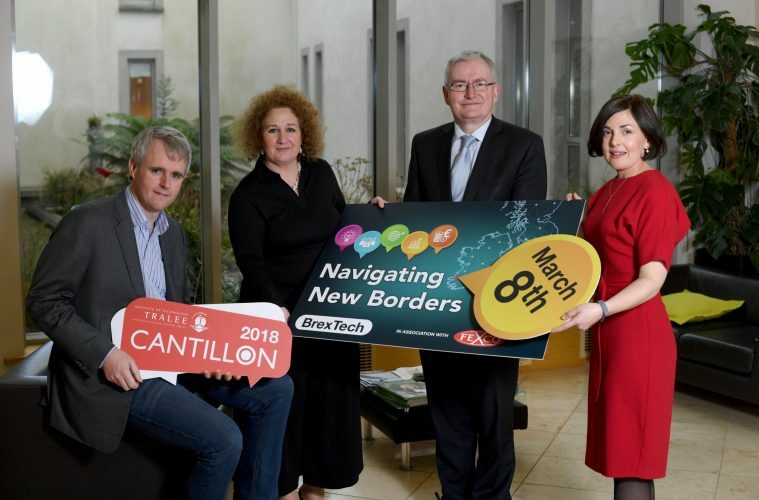 The Institute of Technology Tralee will host the Cantillon Conference on Thursday 8th of March. The event is in association with FEXCO and will focus on the theme BrexTech – Navigating new borders. The event, taking place at the Rose Hotel Tralee, will examine the effect of digital borders that will emerge as a result of Brexit, and how Irish business leaders can use new and emerging technologies to overcome these barriers. A host of national and international industry leaders, economists, journalists, and academics will gather this year to discuss key fintech topics. The conference will also explore current and future challenges that will change the way we trade, pay, transact, and prepare for the future economic landscape. The keynote speaker on Ireland’s entrepreneurial landscape will be Neil Gibson, Chief Economist at EY. Other confirmed speakers include Gary Parnell, EMEA Director at SAP, Founder of Finukan Labs, Anthony Griffin, Edel Creely, Group Managing Director of Trilogy Technologies, and Thomas Deely, Programme Director, Columbia University. The conference, which has been running since 2013, forms part of Kerry Enterprise month, which uses the month of March to showcase what is happening in the country to help businesses set up and grow. This is a collaborative effort between Enterprise Ireland, Institute of Technology Tralee, Local Enterprise Office, Kerry County Council, among others. In acknowledgement of the legacy of innovation and entrepreneurship that exists in Kerry, the event’s name is drawn from famous Kerry-born economist Richard Cantillon, an 18th century banker and author. Cantillon was also a pioneering economist and credited with the origin of the term entrepreneur. OptTech, optimising for the future through artificial intelligence, acquiring the skills, scoping new fintech strategies, cyber security, data mining and more. The conference seeks to be as interactive as possible and attendees are welcome invited to ask questions and contributions from the floor are welcomed. Networking is an important part of the event, so bring your business cards and use the breaks during the day to meet new people and share ideas.